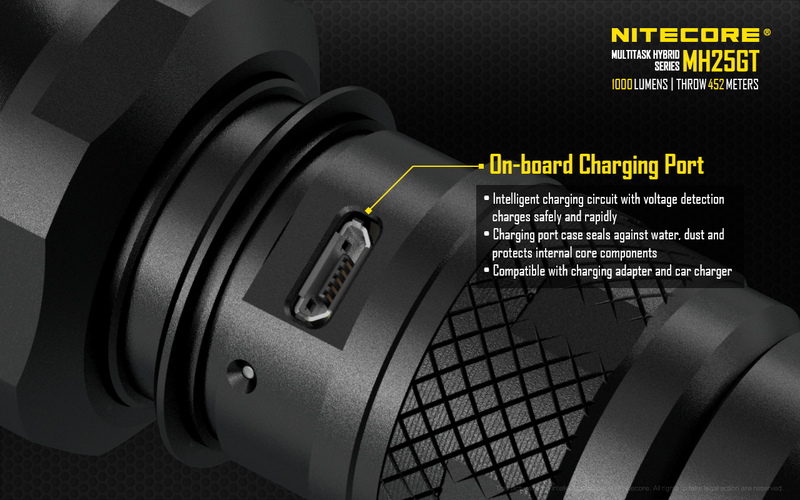 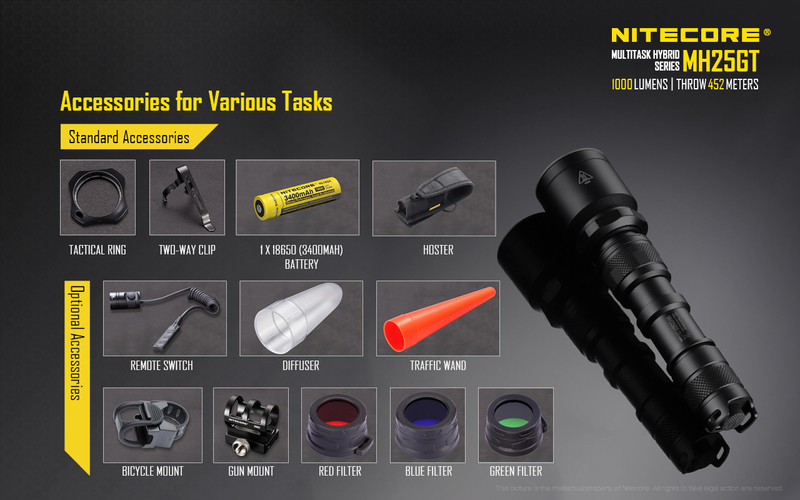 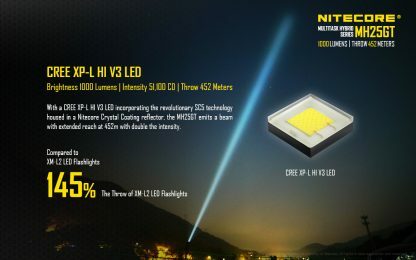 143g, 1000 Lumens: This upgraded version of the Nitecore MH25 features the American CREE XPL-HI V3 LED providing a more focused beam with a maximum distance of 452m. 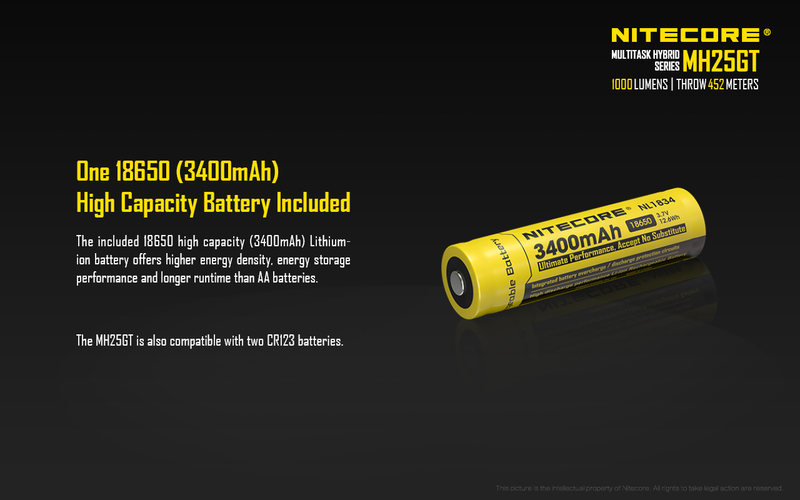 Micro-USB recharging and the included 3400mAh 18650 battery make it ready to go out of the box. 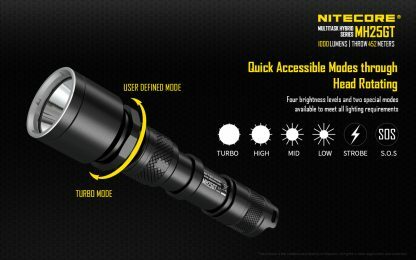 Four modes and strobe. 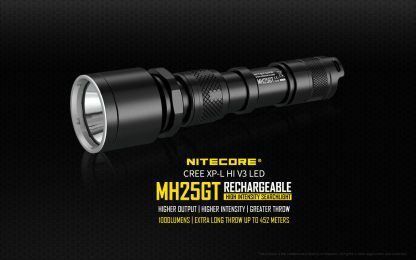 Long range 452m beam. USB recharge with 3400mAh battery included. 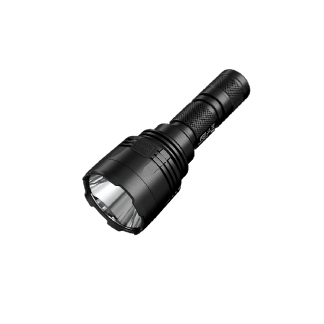 Medium – 110 Lumens – 10 Hours 45 Min. High – 300 Lumens – 3 Hours 15 Min. 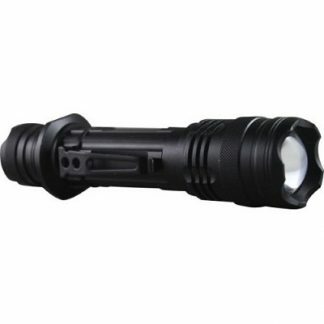 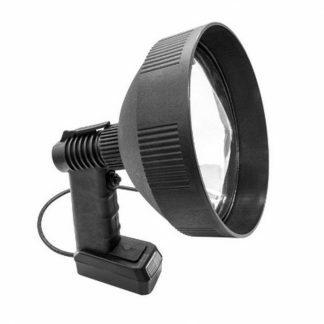 Medium – 110 Lumens – 7 Hours 45 Min.